If you like this post follow me on twitter @PhatLewtsGold!! 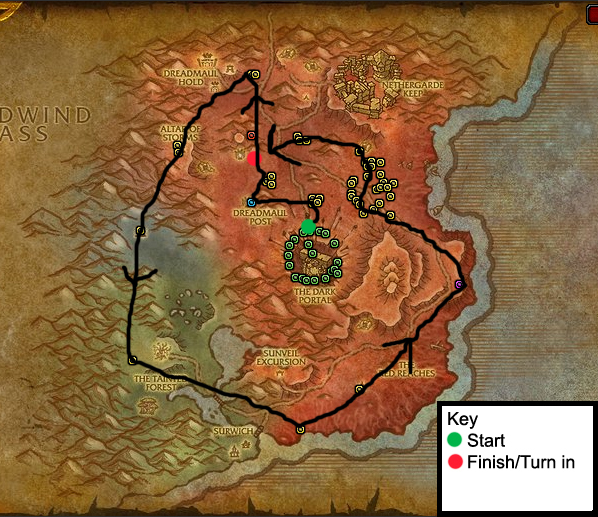 Also as an added bonus, this is the route I take in Blasted Lands to hunt the spawns. Is it the best way? Maybe/probably not. Is it a decent/good way? Yes. 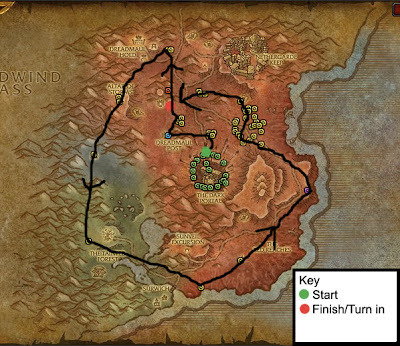 Have fun hunting your rares!